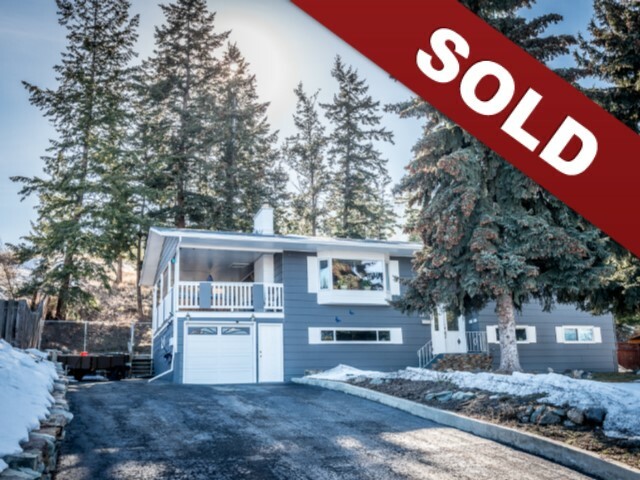 New Listing: 1273 Belair Drive, Barnhartvale, Kamloops, BC $519,900. Beautifully updated Barnhartvale property on a 0.44 acre private lot. Updates include: kitchen with stone counters and stainless appliances, main bathroom, flooring, roof, furnace, windows, duradek, gutters and paint. This home features an open floor plan on the main floor. The kitchen has a ton of cabinet space. The dining room leads to a large covered deck with hot tub and access to the back yard. There is a second yard access off the kitchen. There are 3 bedrooms on the main floor, a 5 piece main bathroom and 2 piece ensuite. The basement level features a large rec room which leads to the single car garage. There is an additional bedroom, 3 piece bathroom and large storage room. Fully fenced yard, RV parking, beautiful hillside views and a detached workshop with dog run. No showings before 1pm weekdays. To view more about the neighborhood click here.